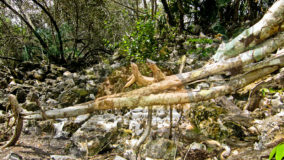 Ambergris Caye provides the quintessential diving and snorkeling experience for all and has been known to do so for years. 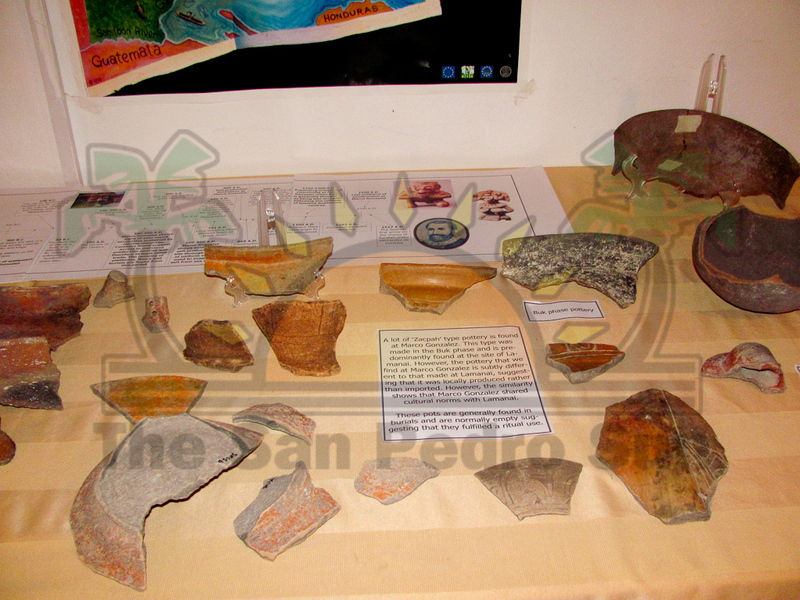 This small fishing village in little time catapulted into THE premiere tourist destination in the entire country of Belize. 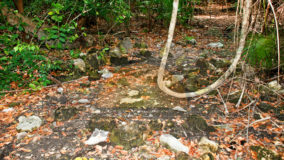 However, before tourism and before fishing and pretty much before WE did, the Mayas occupied Ambergris Caye. 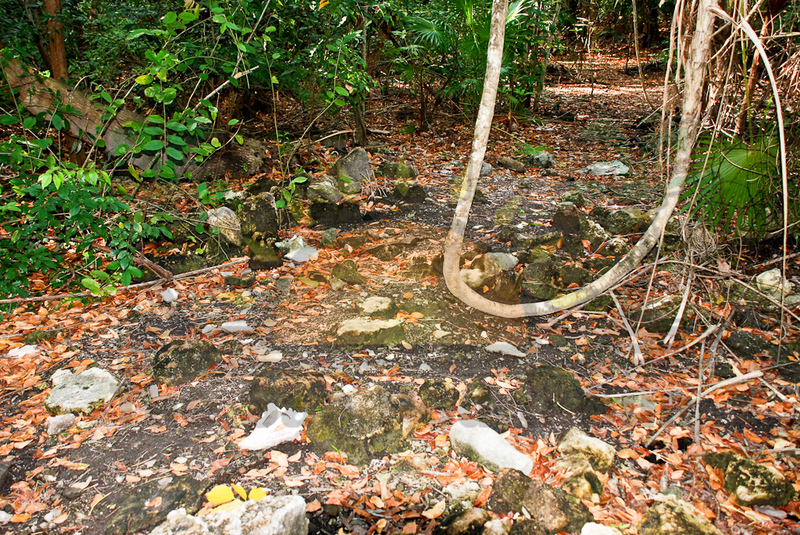 With some 19 sites recognized on the 25 mile long island, of which none had been preserved, Ambergris Caye was a mainstay for the Mayas and now provides yet another avenue for adventurous tourists. 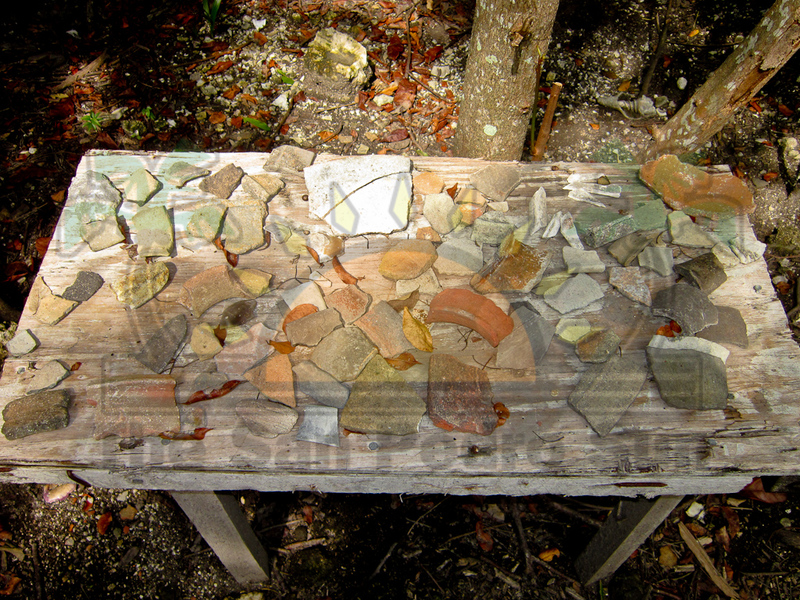 The wealth of undiscovered history that exists on Ambergris Caye is astounding. 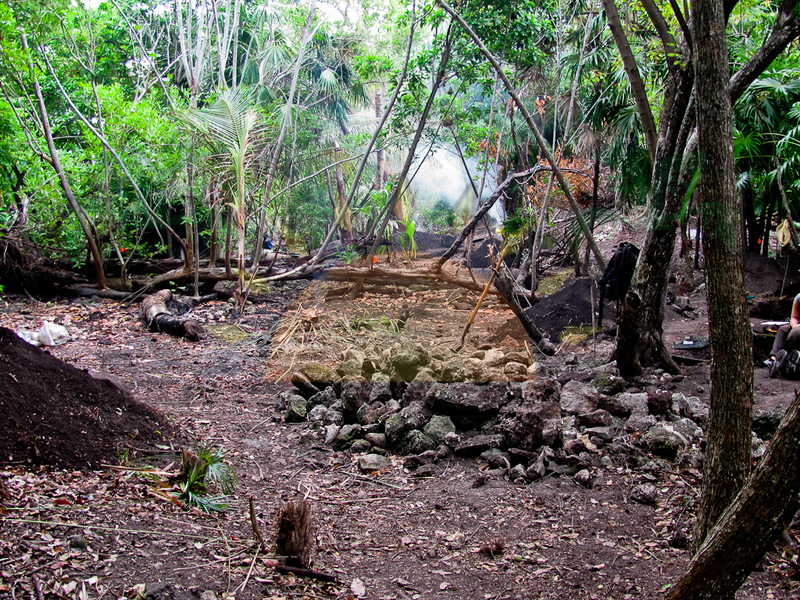 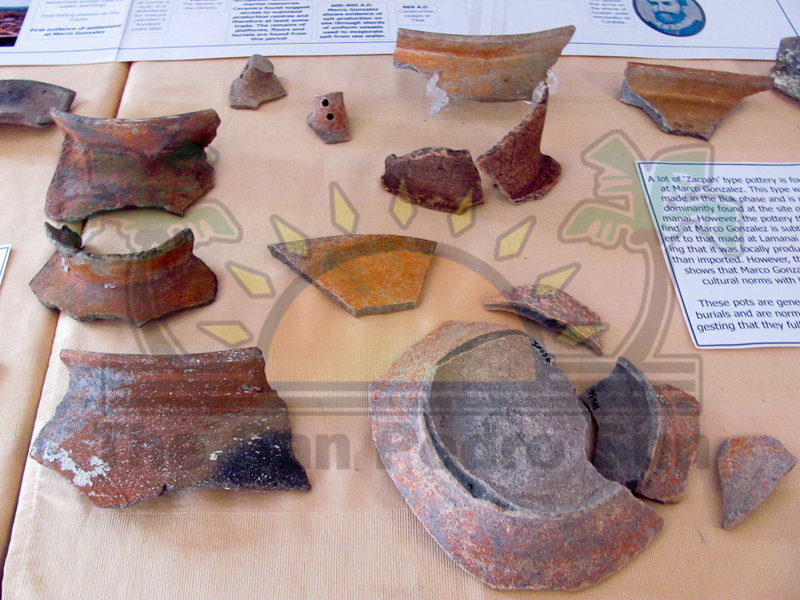 One of the sites that has of recently, been providing some insight into the lives of the Mayas that occupied Ambergris Caye, is the Marco Gonzalez Maya Site. 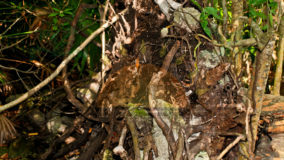 As one flies onto the island, Marco Gonzalez becomes very noticeable as the site’s distinctive vegetation clearly indicates its boundaries; rich green vegetation and towering trees ringed by marshland and mangroves. 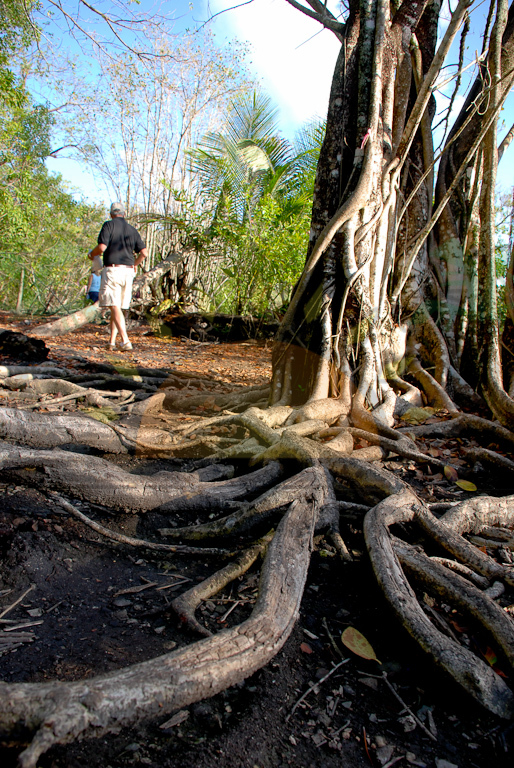 A 30 – 45 minute golf cart ride south of the airstrip takes you to the gateway to Marco Gonzalez. 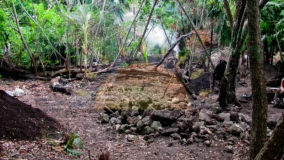 This approximately eight acre site, located south of the island, has been visited by the islanders and visitors for decades. 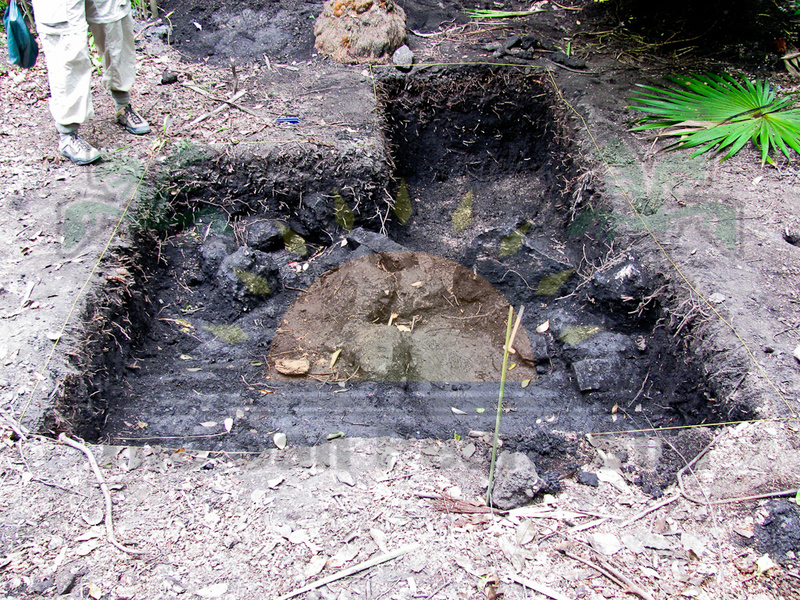 Surrounded by marshland and mangroves, the site was almost inaccessible and previously unrecorded. 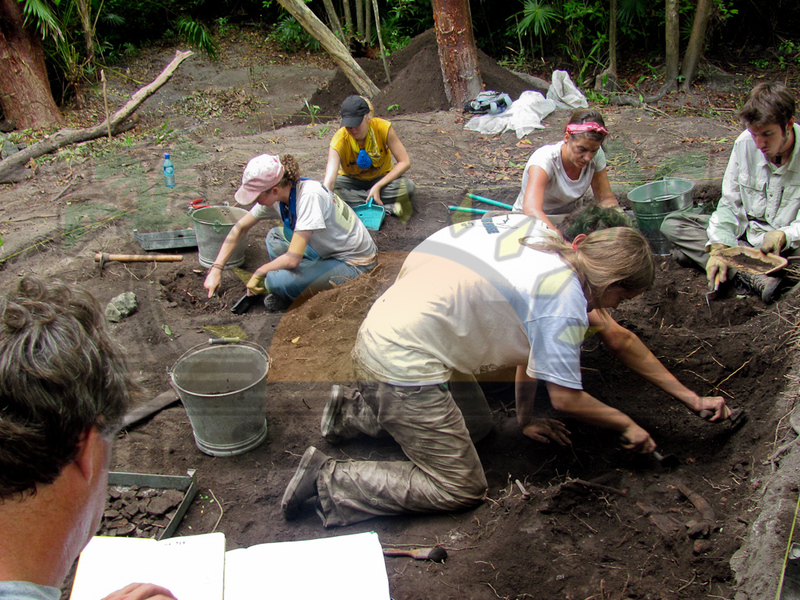 Archaeologists Drs. 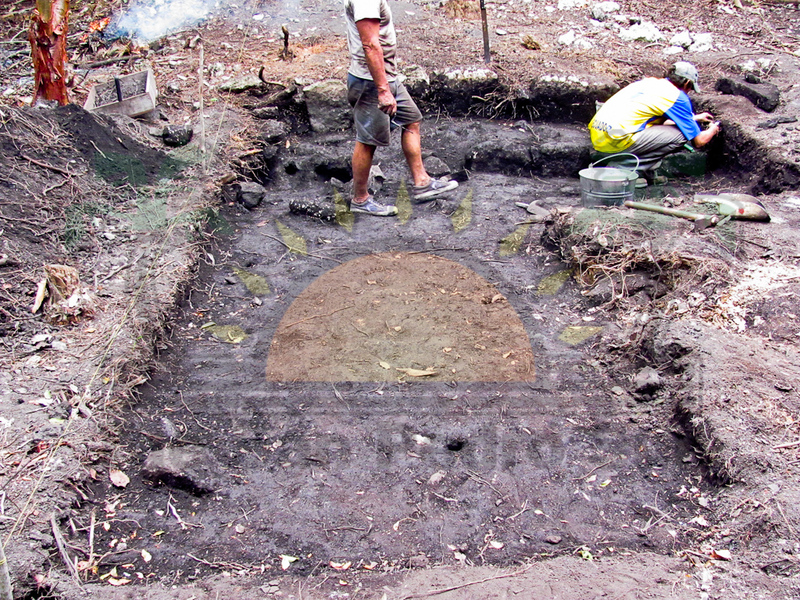 David Pendergast and Elizabeth Graham gave the site its name during their first excavation in 1984, after their tour guide, Marco Gonzalez. 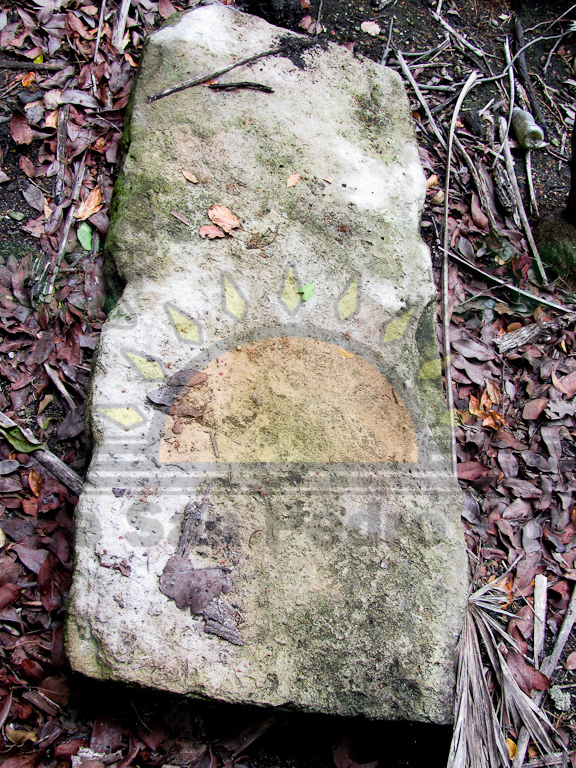 At the height of their occupation, Ambergris Caye was home to an estimated 20,000 Maya traders. 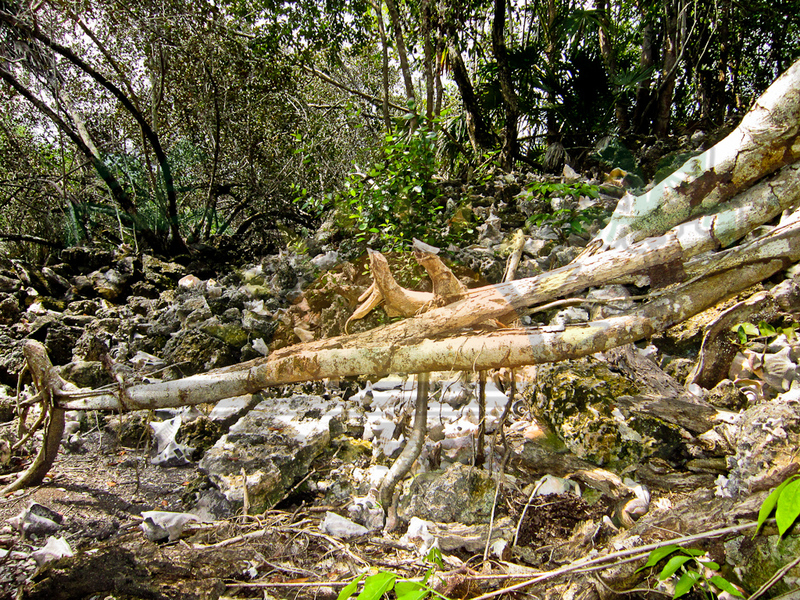 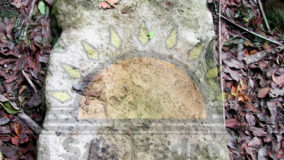 This is evident by the many Mayan graves unearthed during construction throughout the years by contractors. 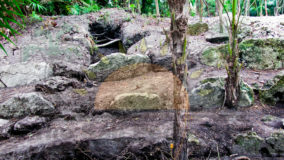 Marco Gonzalez is believed to be over 2,000 years old. 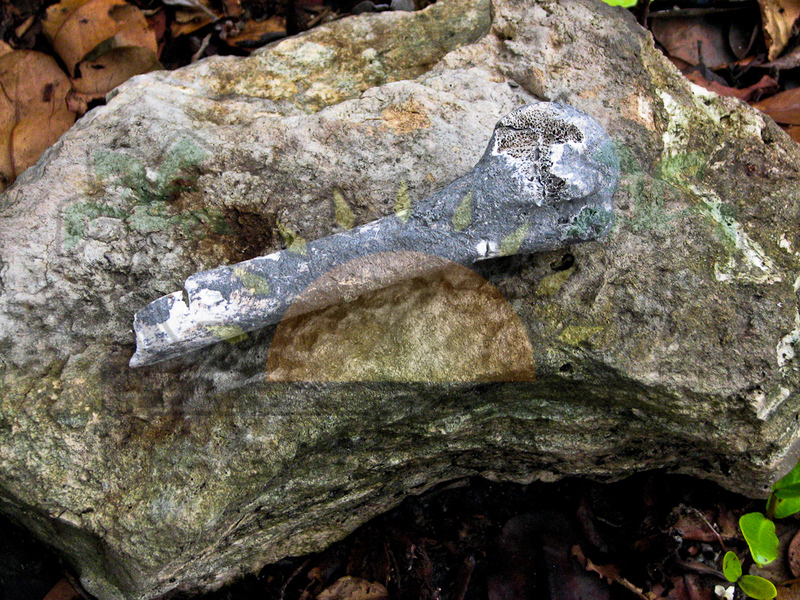 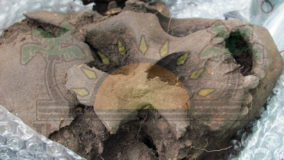 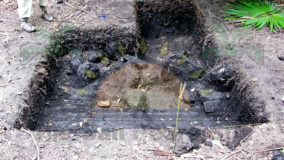 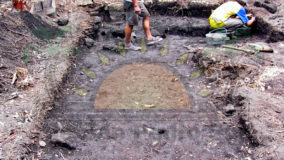 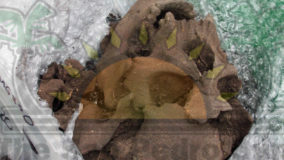 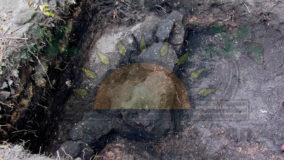 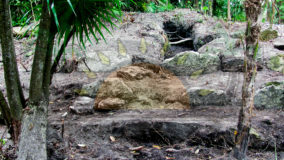 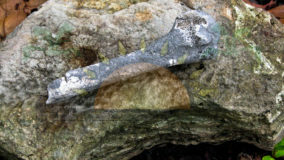 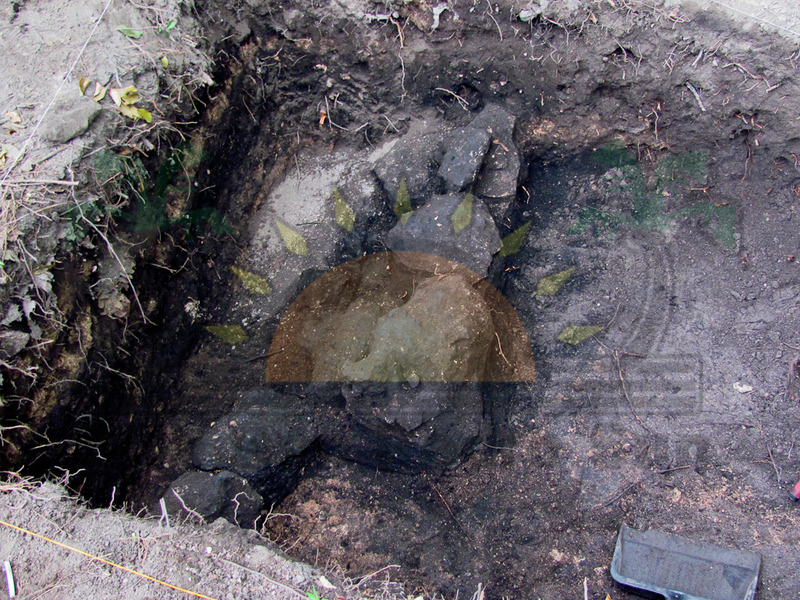 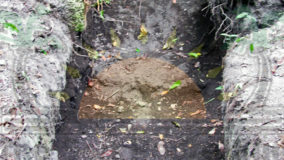 According to Jan Brown, Chair of the Board of the Marco Gonzalez Project, excavations in 1986 provided solid documentation linking Marco Gonzalez with the major center of Lamanai, located some 113 miles away. 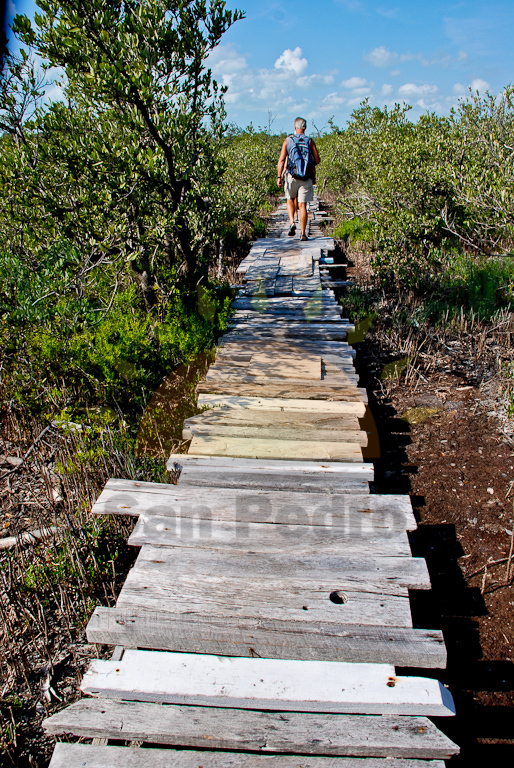 A boardwalk made of recycled lumber provides entry to the site. 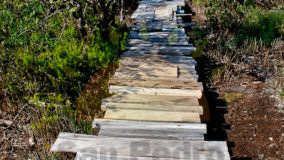 One is guaranteed to see a variety of wildlife, especially birds as one walks over the boardwalks and onto the site. 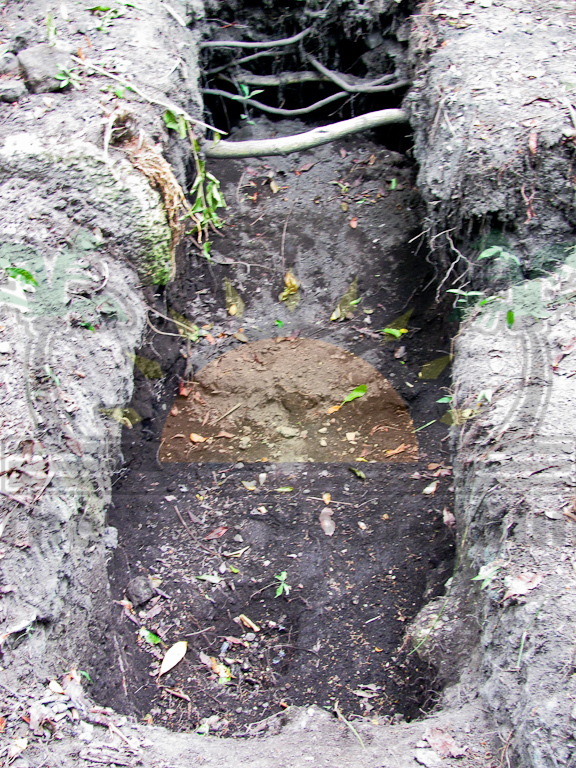 Once you reach solid ground, jet black dirt and towering vegetation welcomes you to the site. 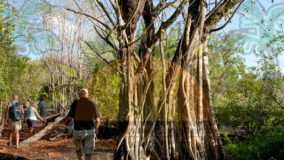 The trees at the site include poison wood white mangrove, gumbo limbo, palmettos, cabbage palms, vines and tall grasses. 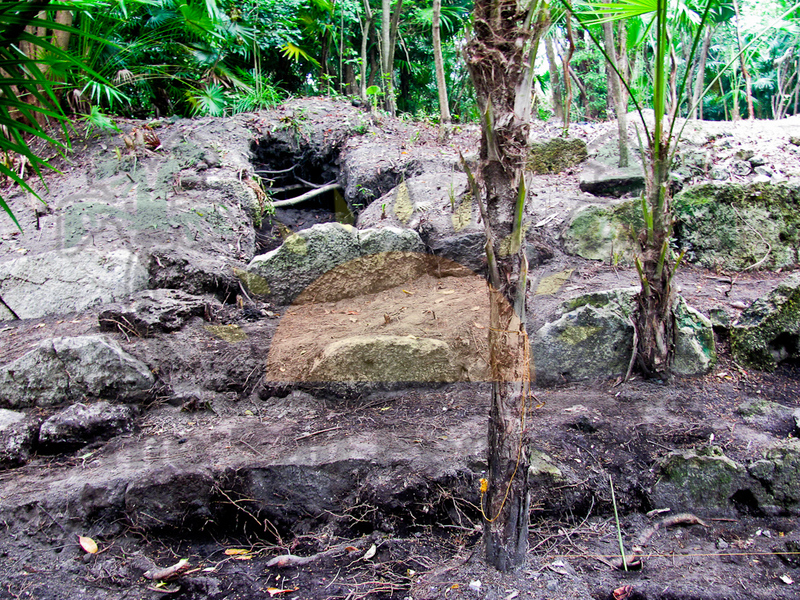 There are also scattered coconut palm trees over the entire area. 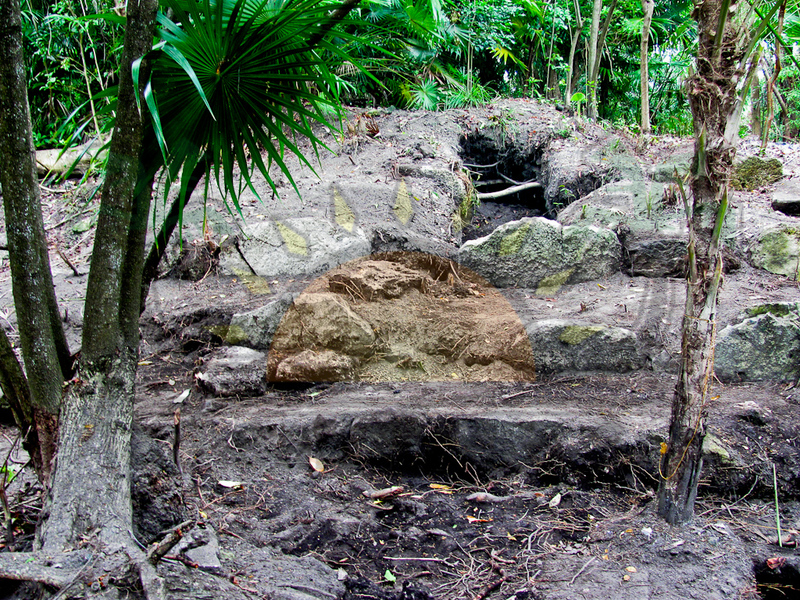 The mounds at Marco Gonzalez are generally between five to ten feet tall. 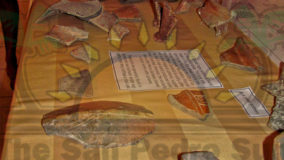 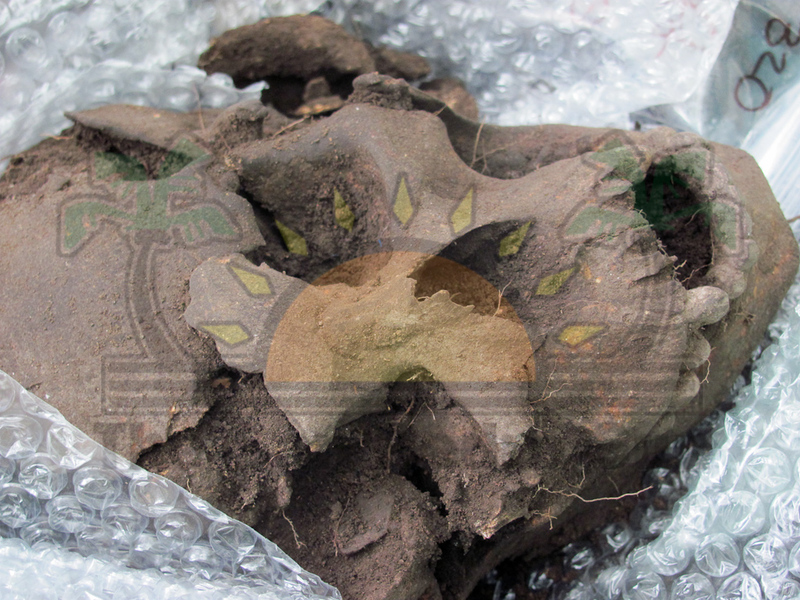 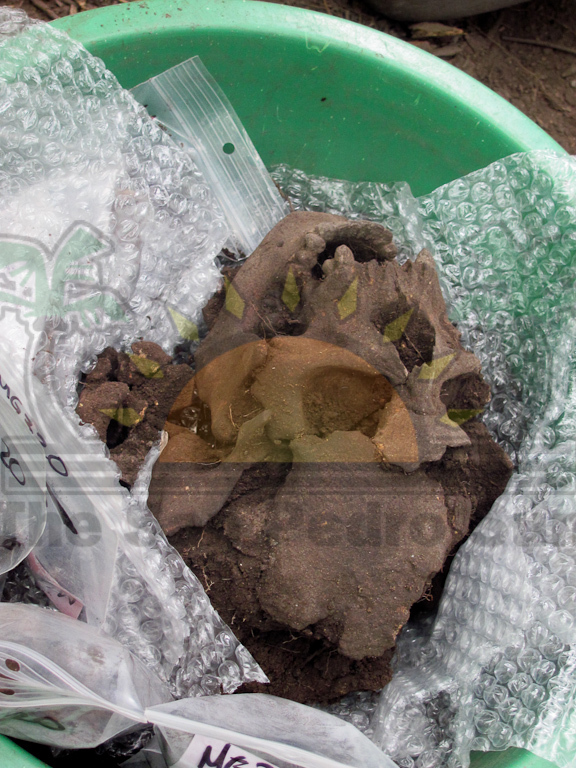 Excavations have unearthed pottery fragments (potsherds) dating to about A.D. 200-300. 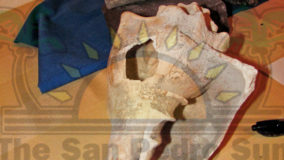 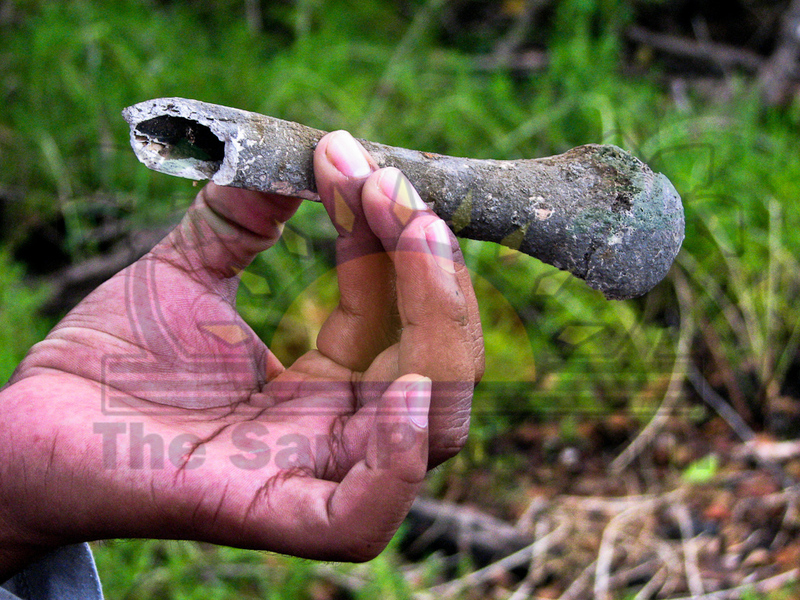 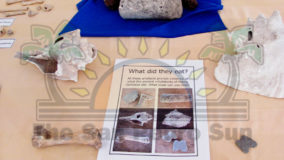 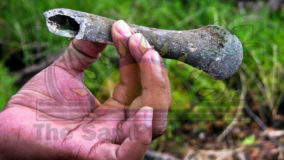 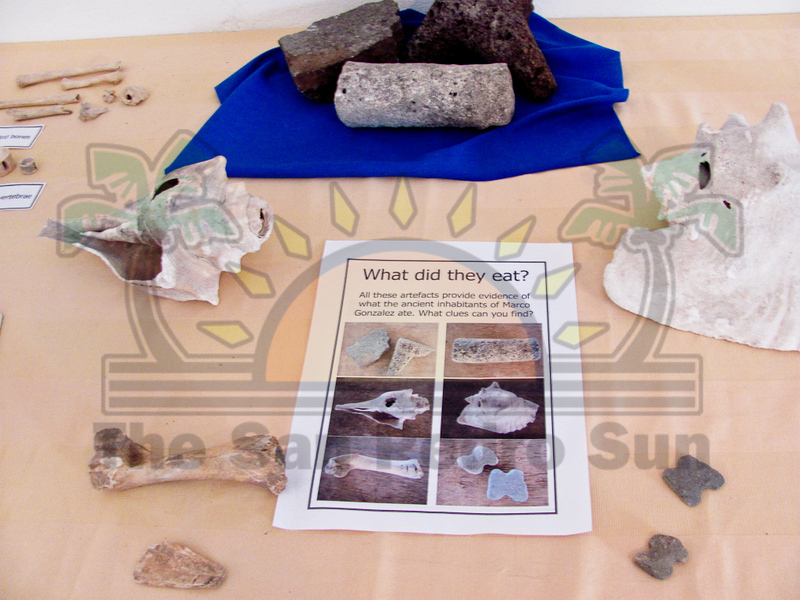 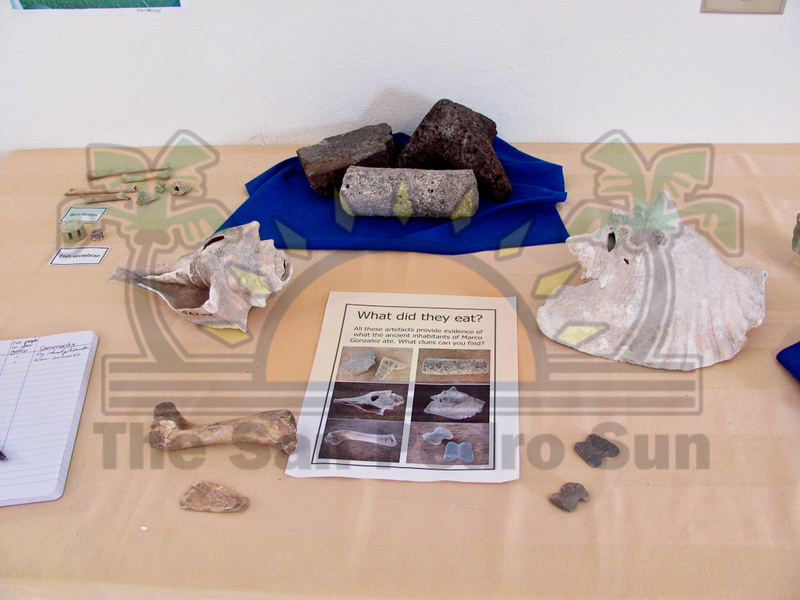 Human skeletons have also been unearthed along with jars, bowls and jewellery. 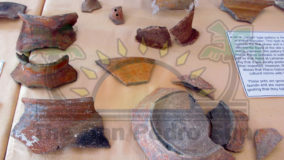 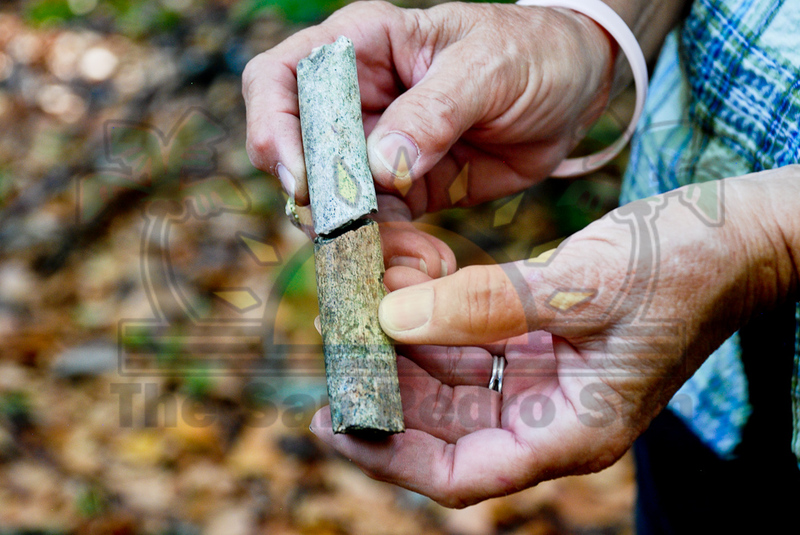 Archaeologists date these findings to about A.D. 800 to 1000. 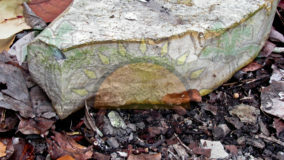 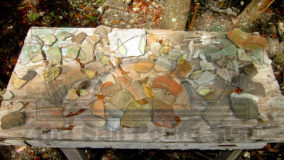 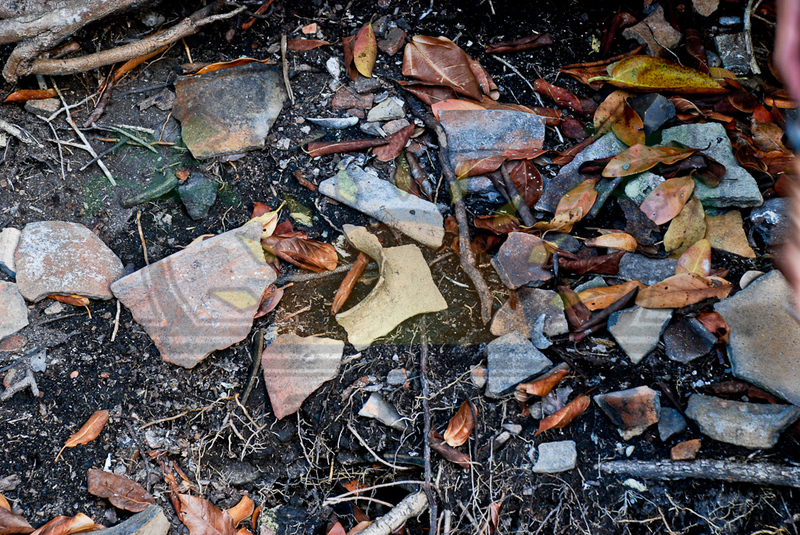 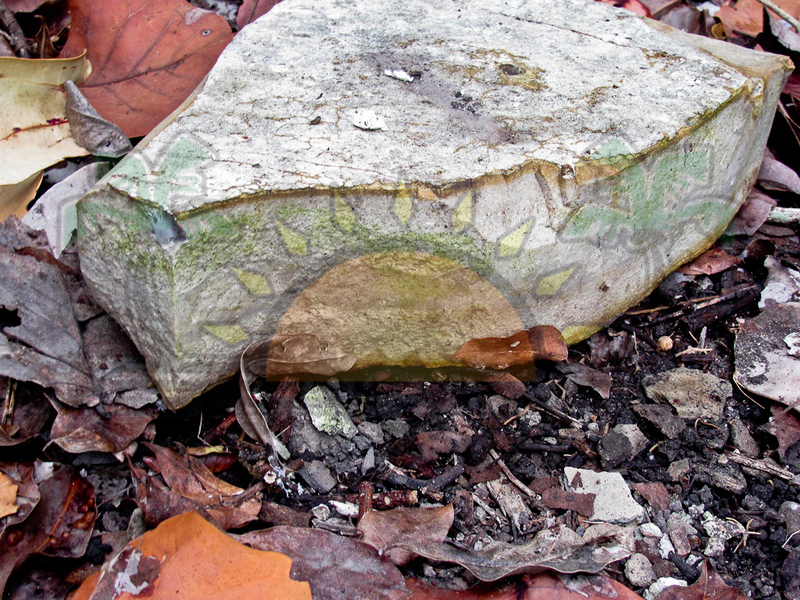 The site floor is covered by broken pottery believed to be centuries old. 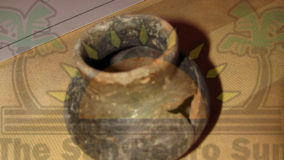 According to Jan, pieces have been identified from a span of A.D. 200 to A.D. 1500. 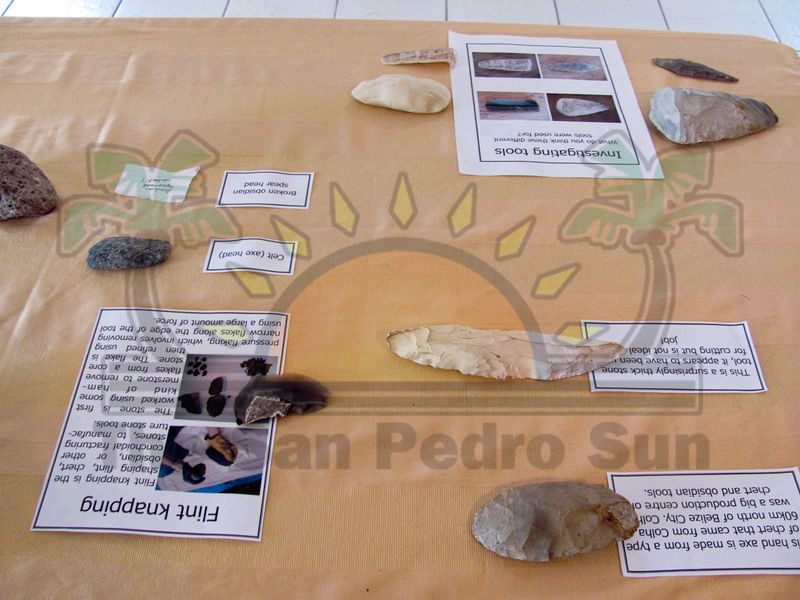 The site consists of 49 archaeological structures. 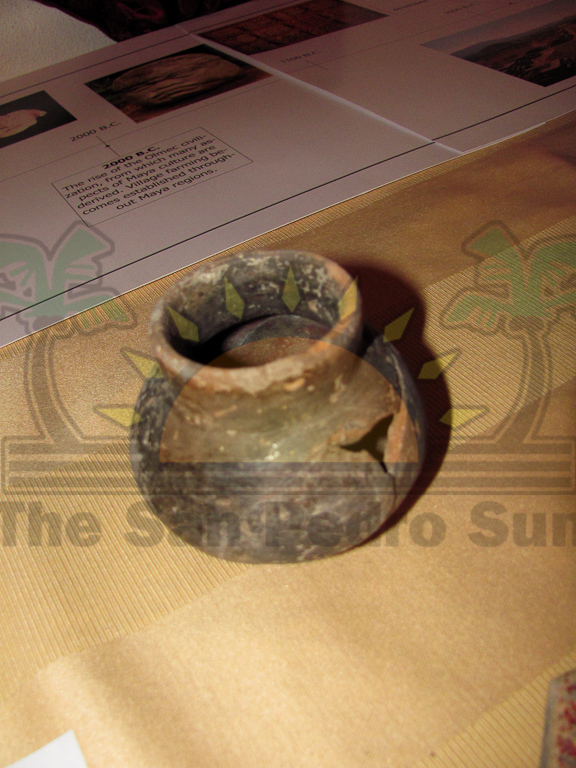 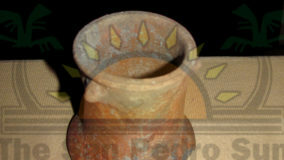 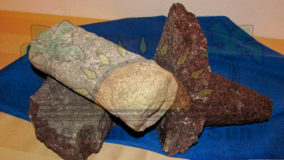 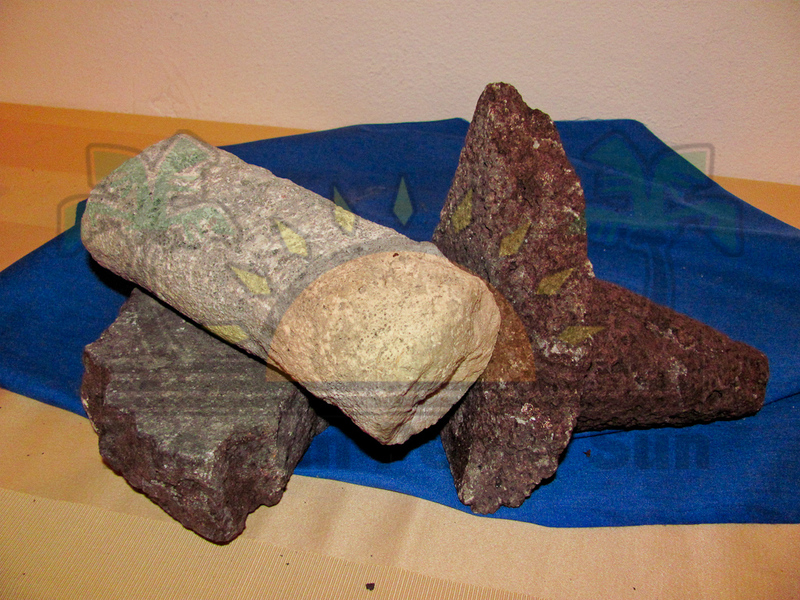 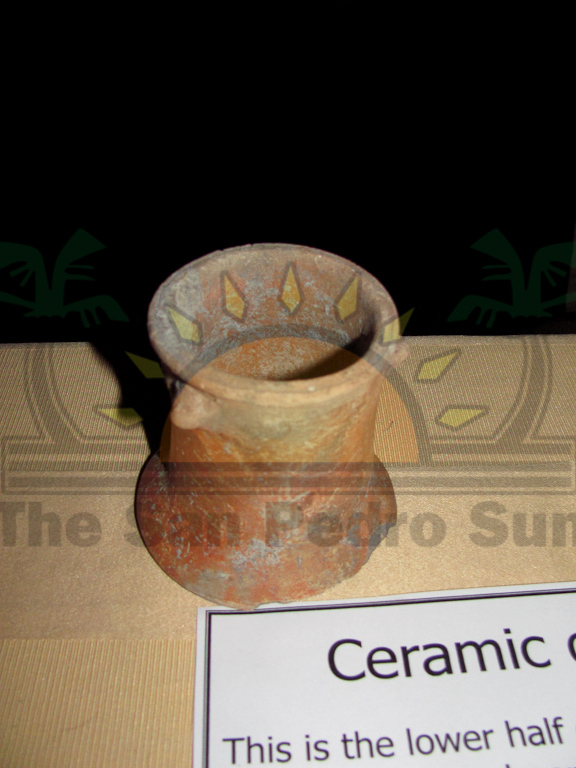 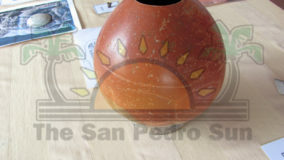 It is believed that Marco Gonzalez was a trade center, with the main item being salt, believed to have been shipped to Honduras and the Bay Islands all around the Yucatan peninsula and to the Gulf Coasts of Campeche and Tabasco. 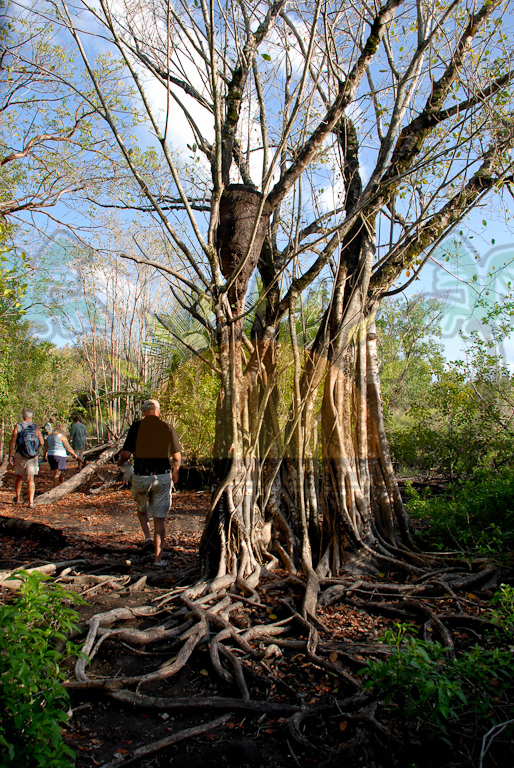 A trip to Marco Gonzalez also provides the ideal platform for visitors interested in bird watching. 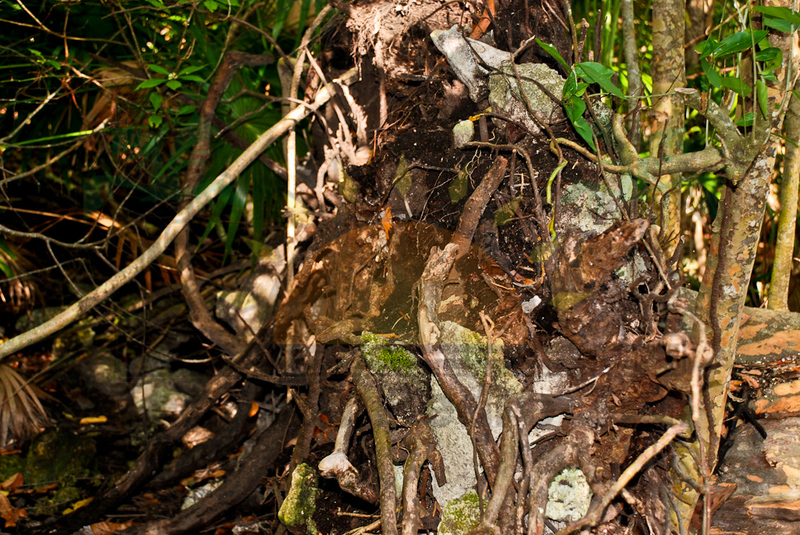 With Jan as your guide, the experience comes alive as she causes your imagination to soar, bringing the lifestyle of the Mayas alive in your mind. 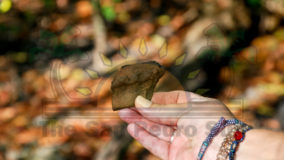 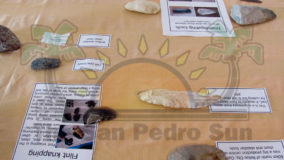 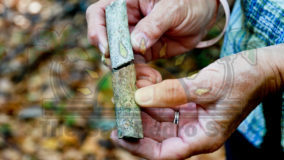 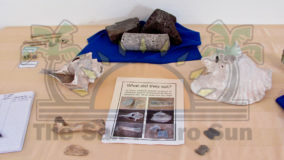 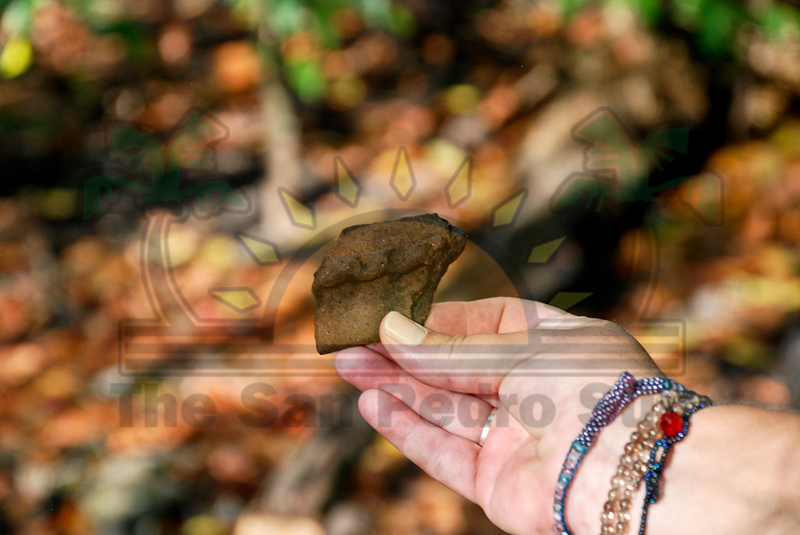 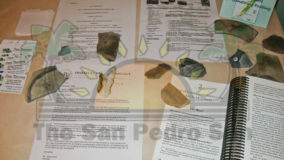 A task on the site is to see who can spot pieces of the rare obsidian and flint, used by the Mayas as cutting tools or as stone axe and spearheads. 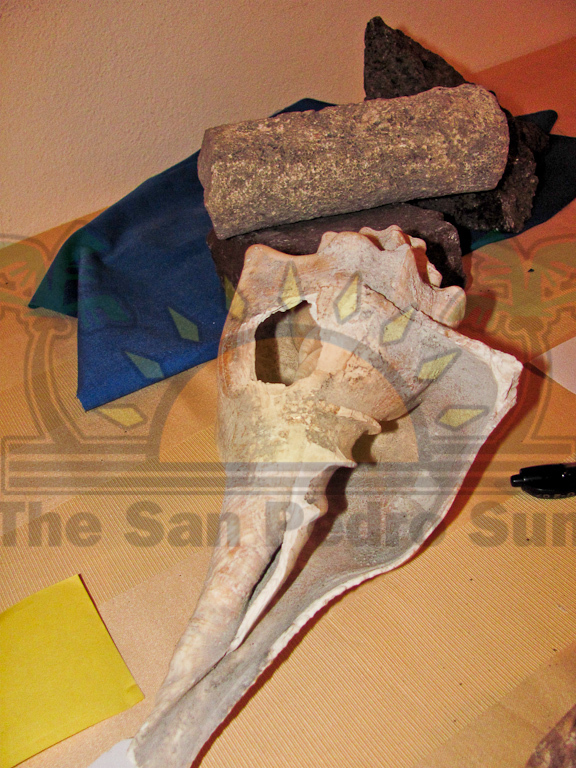 One particular mound stands approximately fifteen feet tall and is made up of conch shells and limestone. 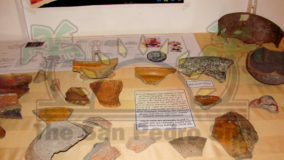 Based on its location to the west of the site, it is believed to have been used as some sort of a beacon for travelers Apart from this, conch shells were used in much of the construction at the Marco Gonzalez site, apart from being used as jewellery and food. 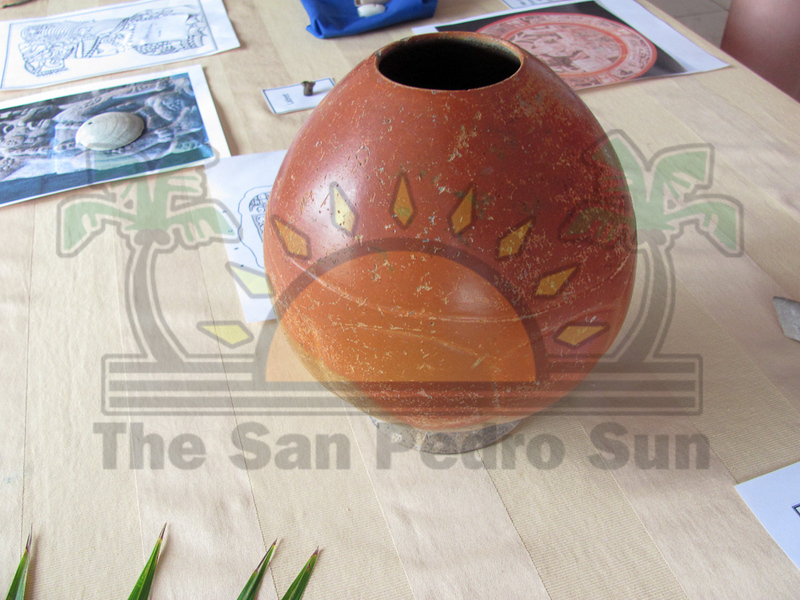 Marco Gonzalez is opened to the public and guided tours are being provided by Jan Brown. 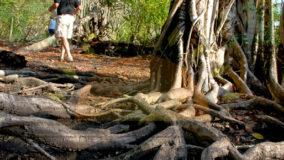 Park fees are as follows: US$10 or Bze $20, children twelve years and under is half price while there is no charge for children under five. 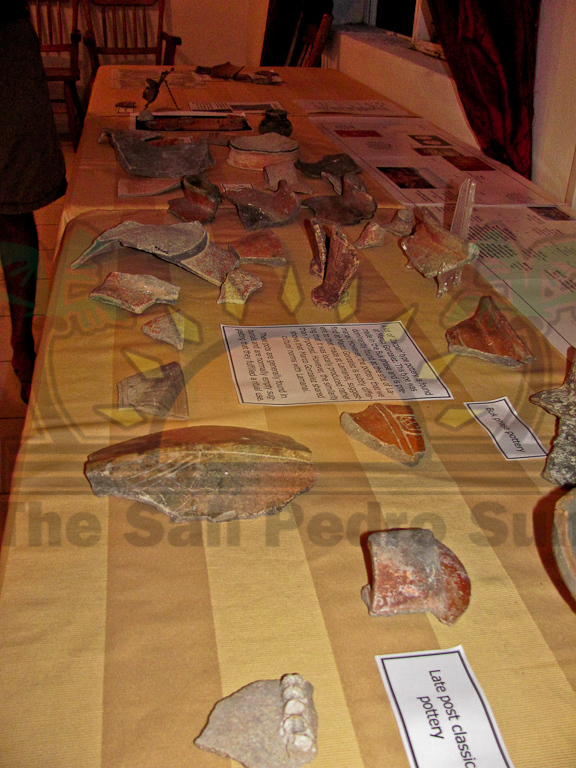 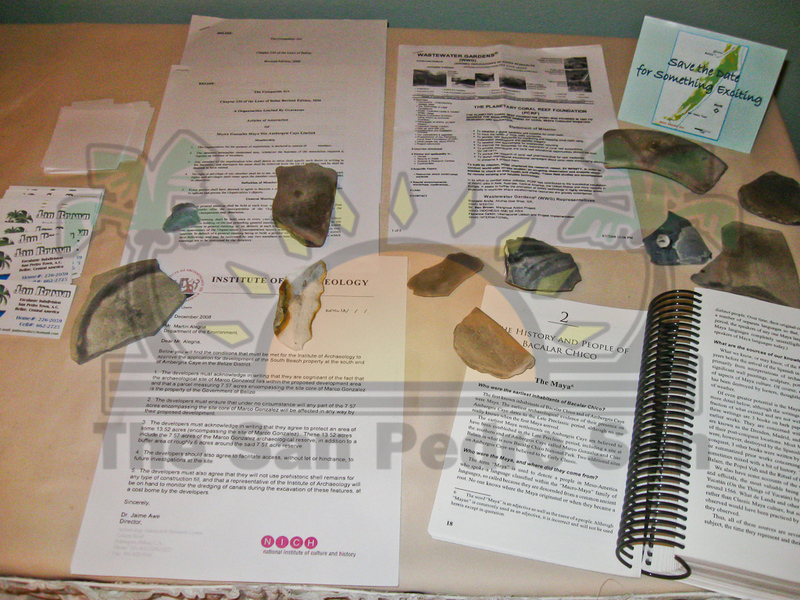 Presently the site has a Visitor Center containing artifacts and exhibits as well as bathroom facilities. 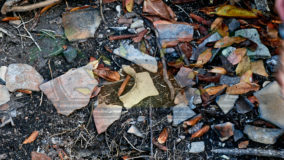 To get your personal experience of Marco Gonzalez, contact Jan Brown at 662-2725.